There are three termianls at Manchester airport, so to make it easy all of the car hire providers are located in the Car Rental Village, which can be accessed by catching the free courtesy buses which depart from each terminal every 10 minutes. Once you have completed the paperwork and collected your keys you will be directed to your vehicle collection point. You can book your car rental at Manchester once you have landed, but for the best deals and greatest availablilty of car sizes it is best to book in advance. 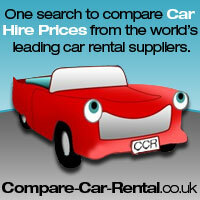 We have listed below each car hire provider so you can book direct. They are national companies which means that if you wish to pick up your car at Manchester airport but drop it off at another location in the UK you can usually do this, do check at time of booking. Comparing car rental prices with many providers in one search is another option to consider in finding low cost car hire at Manchester airport. 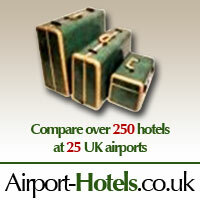 Compare-car-rental.co.uk compare over 30,000 locations Worldwide and have over 550 suppliers on their system including Manchester airport. You can either compare every car type or limit your search by car size, e.g small, economy, luxury etc.